Super-sweet. Super-moist. Super healthy and nutrient dense. Both gluten and sugar-free. A great accompaniment to coffee or tea–and just as great as when eaten on its own, this cake is also a great way to reap the benefits of some superfoods such as chia seeds, dates, and bananas. And the dark chocolate nibs are such a pleasant surprise in almost every toothsome bite. 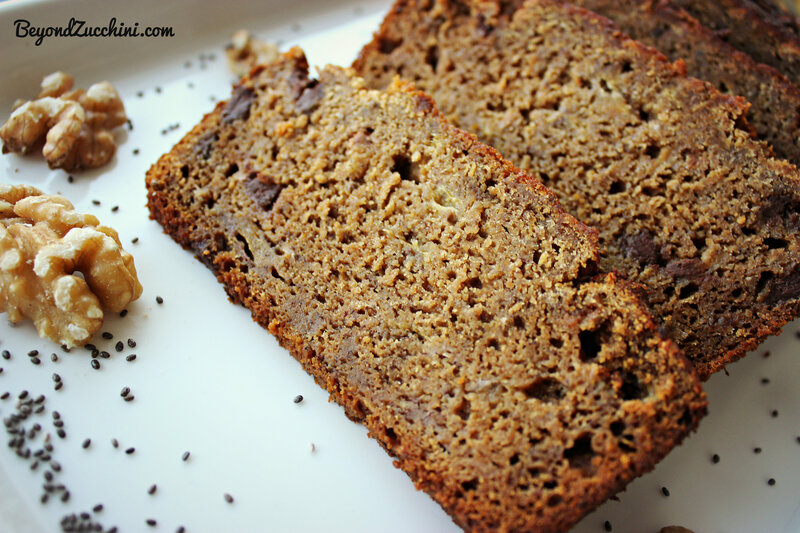 This could probably make your regular banana bread recipe a tad more nutritious and guilt-free. So what’s the secret to this cake’s sweetness, without the added refined sugar? Dates, of course! 1. Preheat the oven to about 180 degrees Celsius. 2. Just mix all the dry ingredients together. 3. Then mix all the other ingredients in a separate bowl, and add them to the dry mixture in the first bowl. 4. Pour the mixture into a loaf pan, and bake for about 40-50 minutes.